At times you or your loved one may have been hurt, abused, injured, and neglected at a nursing home. If so, know that there are better options available. Our site is designed to help you fight back against negligence and abuse. Our site contains tons of information that can help answer plenty of questions you may have. But even so, we encourage you to give us a call and schedule and appointment, so that we can help you out. It is not uncommon for negligence and abuse to occur in nursing homes. But that doesn’t mean that it’s ok. Negligence occurs when nurses simply ignore or fail to follow the advice from a patient’s physician. Abuse on the other hand, is an intentional act aimed to cause injuries to a patient, such as assaulting a patient. Abuse can be as simple as a nurse throwing a punch and striking a patient. First off, if your loved one was injured or passed away at a nursing home, you will want to speak with a nursing home neglect lawyer immediately. If the injury or death was the result of a negligent act, then you may be able to file a claim against the nursing home. Nursing homes are expected to deliver care to all of their residents, regardless of their situation. When a nursing home doesn’t take the proper steps in aiding the patient, or fails to implement the right protocols from the patient’s assessment, then that nursing home is at fault. Under Georgia law, the nursing home will be held responsible for the negligent conduct. This will be the case regardless if Medicare or Medicaid paid for the treatment. For example, if the medical bills from the negligent behavior are $100,000, you’ll be entitled to $100,000 from the nursing home, even if private insurance paid for the treatment. But private insurance may be entitled to a portion of the settlement. Also take note, that the resident will also be entitled to compensation based on pain and suffering caused from the negligent acts. What is the statute of limitations for nursing home neglect? Procrastination can prove to be fatal in cases against neglect. 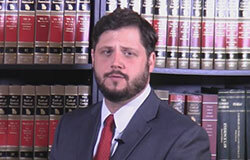 That’s why in the event of neglect taking place, it is best to immediately contact an experienced lawyer. The law doesn’t allow an individual unlimited time to sue for an injury. In Georgia, the statute of limitations for personal injury and medical malpractice is two years. This means you’ll have two years to file a lawsuit that arises from an injury caused by negligence. If you fail to bring the suit before then, then chances are your case will be dismissed by the court. Some nursing home cases require specific paperwork – like an affidavit by a medical professional – before being able to file the claim. These processes take time, so keep that in mind when filing. Do not wait too long to file a claim, otherwise the negligent acts committed by a nursing home will go unscathed. We are Schenk Smith, your Auburn nursing home lawyers. Here at Schenk Smith, we devote 100% of our time to suing negligent nursing homes. Nothing else. It’s why all of our information on our site focuses solely on nursing home malpractice. We’re completely dedicated to making sure that patients and family members receive the rightful compensation owed to them in the event of negligence or abuse. 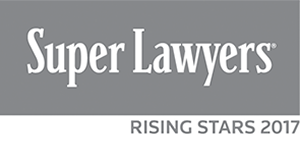 Our attorneys have been selected as Georgia Super Lawyer Rising Stars. So our top notch efforts will be dedicated in making sure you and your family are taken of. It doesn’t matter where you’re located in Auburn. Whether you’re by Fort Yargo State Park, Barrington Hall, or by the Crawford W. Long Museum, we got you. Nursing Home Abuse & Neglect in Auburn, Georgia – What you need to know. Auburn, Georgia is located in Barrow and Gwinnett county. It has a population of 7,291 residents. Of those residents, 6.60% are aged 65 and older. As with other cities in Georgia, elderly abuse occurs unfortunately occurs on a frequent basis. What are the most common form of neglect? It’s important to try and catch signs of these occurring early on, in order to determine if the nursing home is neglecting you or your loved one. Hygiene is often a common form of neglect, that is usually the result of a nursing home not having enough staff, or having a staff that isn’t trained properly. Nursing home staffs are supposed to aid residents in brushing their teeth, bathing, brushing their hair, clipping their nails, and changing their clothes. If any of these areas are not properly attended to, then the nursing home is acting negligent. Nursing homes have a legal duty to provide sufficient care and attention to their residents. Malnutrition, bruises, broken bones, and sudden changes in behavior usually stem from the nursing home neglecting their residents. If the nursing home fails to provide sufficient care, then they may be liable for any consequences. What are the most common injuries from nursing home neglect? Some of the most common injuries from nursing home neglect include bruises and broken bones that may have been the result from an elderly person trying to get dressed or walk without assistance. When this occurs, elderly residents can fall and injure themselves. Some of these injuries can also occur from the result of hazardous conditions, such as slippery floors, low lighting, and unsafe equipment. Other common injuries are weakness, illness, and weight loss, which usually stem from some form of malnutrition. Malnutrition can occur when the nursing home is experiencing high traffic, or if they simply fail to give residents the individualized care they require. If malnutrition continues or is severe, it can lead to very serious illnesses, and even death. What are some statistics for nursing home abuse? Nursing home abuse can be both emotional and physical. Emotional abuse stems from mental pain, anguish, or distress that is usually provoked by verbal and nonverbal acts. These are the most common forms of abuse reported to protective agencies. Physical abuse and financial exploitation are the second and third most common substantiated types of elder abuse. According to the Department of Justice, 11% of the 60 and older population have experienced some kind of elder abuse within the previous year. Nearly 90% of the reported cases of elder abuse, occur from a family member. Elder women and the oldest seniors who are 80 years old or older, are more likely to be victimized. According to the National Adult Protective Services Association, the actual number of elder abuse cases in the total older population is likely higher because many cases go unreported. My loved one was hurt in an Auburn nursing home – What do I do next? If your loved one was severely injured or passed away at an Auburn, Georgia nursing home, then we recommend that you act as soon as possible to protect your loved one’s rights. Georgia Department of Community Health’s division of Healthcare Facility Regulation investigates complaints of abuse and neglect that occur in nursing homes. This same division also regulates and certifies nursing homes through the state of Georgia. Filing a complaint through the Georgia Office of the State Long-Term Care Ombudsman, is another option. The individuals in this office are dedicated in helping residents resolve complaints and issues against nursing homes. Ombudsman officials are authorized and trained to go into nursing homes and ask questions. Physical assault or abuse stemming directly from a nursing home staff or another resident should be reported to the police. Depending on the severity of the actions, charges may be brought against the nursing home staff or resident by the Barrow County District Attorney’s Office. For abuse occurring in an Auburn, Georgia nursing home, report the crime to the Police Department of Auburn, Georgia or to the Barrow County Sheriff. Sometimes it may be best to transfer your loved one to a better suited facility if given the chance. When abuse or neglect is border line life threatening, finding a different nursing home is necessary. You may ask yourself, “How will I know if a new nursing home is safe?” In cases like this, it is best to conduct a walkthrough of the new facility, while making sure to ask valid questions that will pertain to the care of your loved one. A useful online tool is the Nursing Home Compare website, which is ran by the United States Centers for Medicare and Medicaid Services (CMS). The CMS website has data on every nursing home in the country. Each have their own rating which is based off nurse-to-resident ratio, and inspection scores. For your convenience, a list of all nursing homes located within Auburn, Georgia is located below, along with their contact information and inspection scores. It is extremely critical to receive all the medical records available in the event that abuse or negligence took place. Nursing homes will stop at nothing to blame your loved one’s condition, rather than accepting responsibility. Even if there is overwhelming evidence against the nursing home. For example, your loved one may experience broken bones from a fall. In the event that this occurs, chances are the nursing home will claim that those bones were already broken, rather than accepting responsibility for what transpired. This is why it is so critical to obtain your loved one’s medical records. Medical records will show who the primary care physician was, information on the hospital visits, and who was working at the nursing home when the event took place. Signs of neglect will often show up in the nursing home records. Getting those records isn’t as easy as it seems. You will need to have the proper authorization in order to obtain those records. Federal and state privacy laws forbid third-parties from obtaining or viewing medical records, even if you happen to be a spouse, sibling, or child. Which is why written authorization – usually in the form of a power of attorney, healthcare directive, or guardianship paperwork – will be required in order to view the medical records. The right to sue a nursing home does not pass, just because someone passes away. In the event that the resident passes away, the deceased person’s rights are handed over to the Estate, in order to recoup. For example, the plaintiff of a lawsuit will change from being “Jane Doe” to “The Estate of Jane Doe”. But before the lawsuit can ever be filed, the Estate has to be established, which means that the surviving relative, or spouse, will need to petition the Probate Court of the County in which their relative or spouse passed away. If you’ve found yourself in this predicament, then you need to setup an Estate, and appoint a representative. The personal representative you appoint, will then act on behalf of the Estate, which means that they will be making all the decisions regarding the lawsuit. Nursing homes are very diverse, meaning that no two are alike. Below is a list of the nursing home located in Auburn, Georgia, along with relevant information for each. This information is taken directly from the CMS’ Nursing Home Compare Website. Dedication: At Schenk Smith we are 100% dedicated to nursing home cases. Our practice focuses solely on nursing home abuse and neglect, nothing else. Our firm has over 200 videos on our website that are dedicated to give people like you the necessary information to tackle nursing home abuse and neglect. Leaders: Focusing solely on nursing home cases makes us more knowledgeable about changes in the law, which makes us more experienced in dealing with nursing home lawyers, and nursing homes themselves. We have the ability to provide insight on case value, while operating at a maximum efficient level. Recognized Industry Attorneys: Our firm is the best Google reviewed law firm in the state of Georgia that focuses solely on nursing home abuse. We have client testimonials to prove that fact.